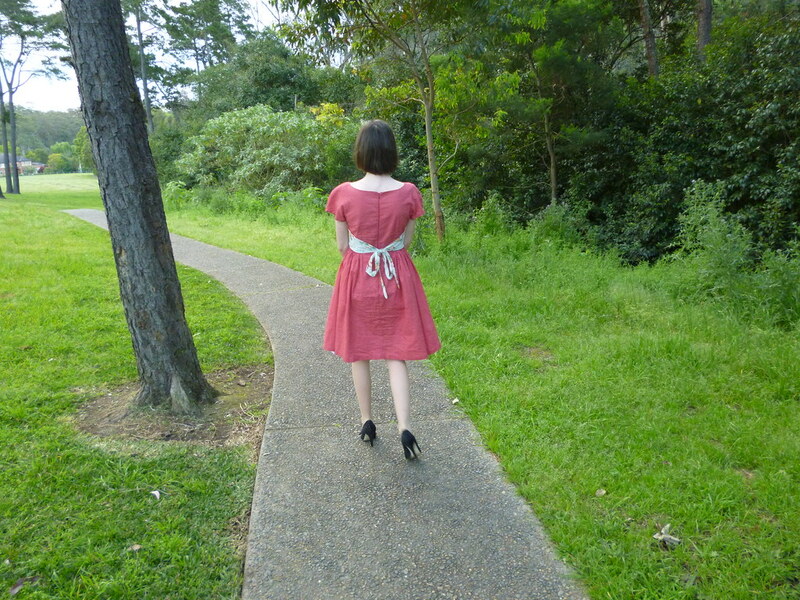 Yesterday I wore this new dress for the first time, called the Rhubarb Harvest Dress, from Modcloth. 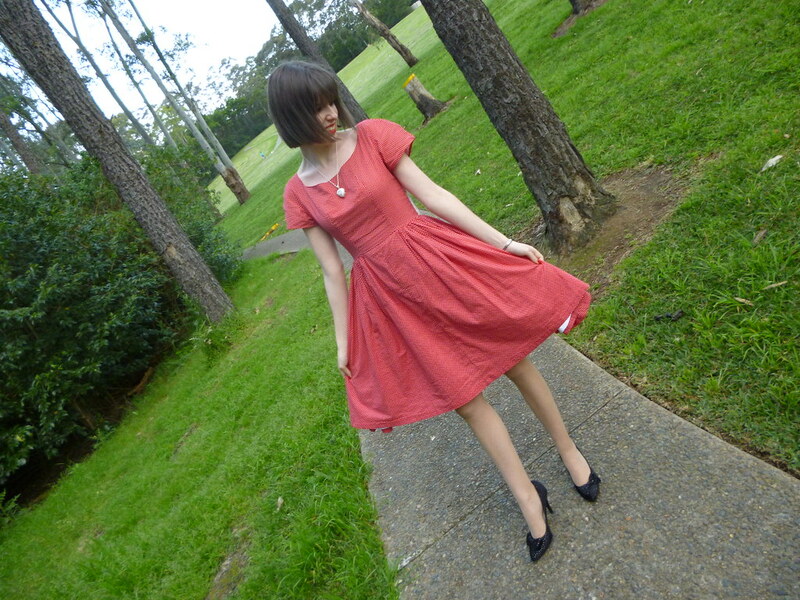 I bought this dress on sale and I am very impressed with it. 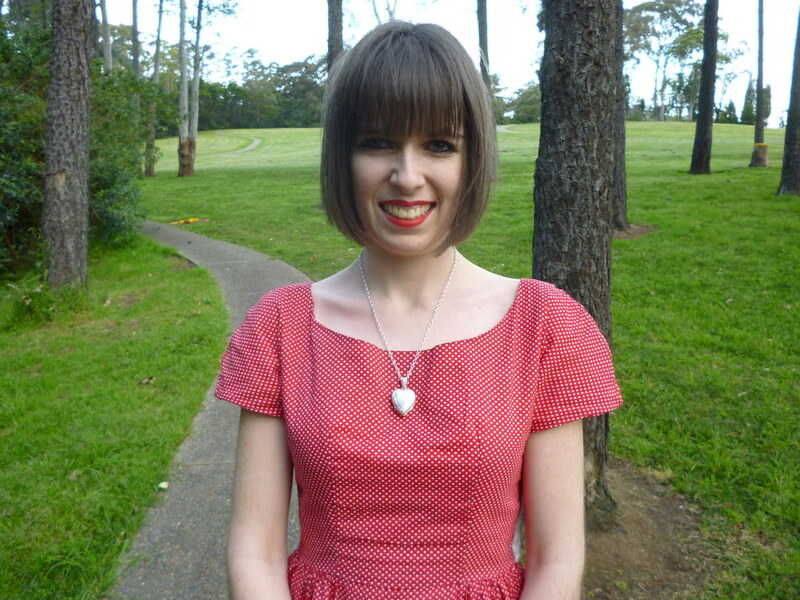 I love polka dots, red dresses, florals and 1950s style so this dress is a combination of many of my favourite aspects. I also like the fact that this dress is such good quality. It is fully lined so it feels fabulous to wear. I got my hair cut the other day too. 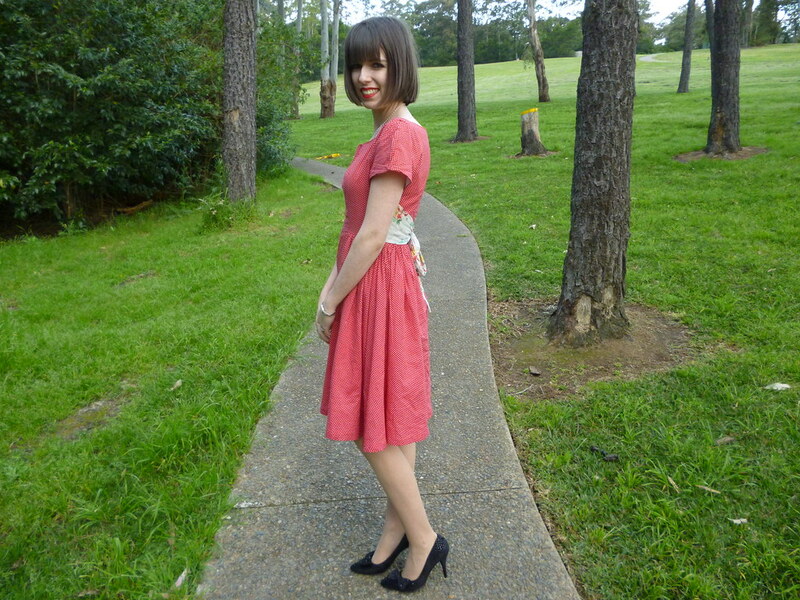 It is shorter than I usually like but I chose this length because I am going to a 1920s ball tonight. I thought it would be fun to have the actual flapper hairstyle! Juliette says thank you for the birthday wishes! 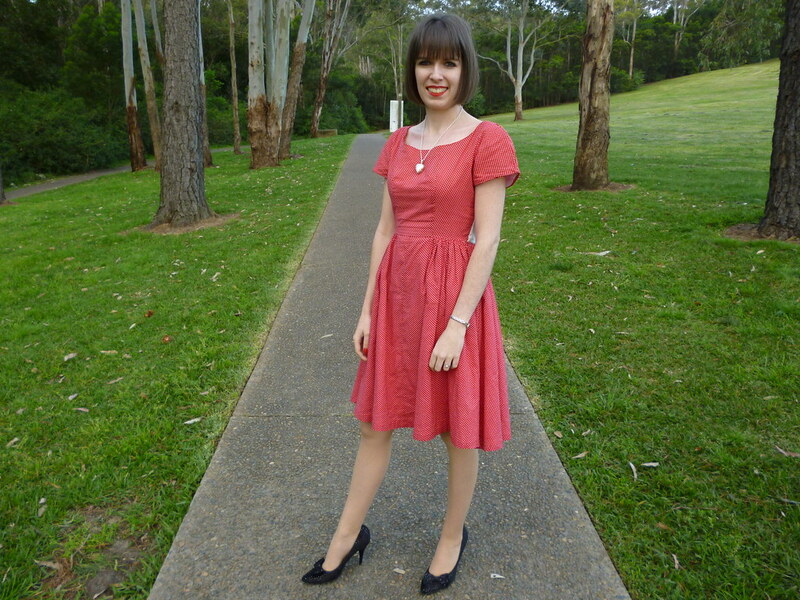 This entry was posted in Modcloth, Outfits, Wittner. Bookmark the permalink. We really love your dress! It is so beautiful! It perfectly looks good on you! You look so cute and adorable! So lovely! Such a pretty dress, it looks gorgeous on you. Have fun at your Ball, take some photos for us. The dress is lovely but you are so pretty. Warmly hope you enjoyed the birthday. The dress really looks so fabulous. I love the colour and how well it fits. Just a cute dress, and I really like the color! Hi there, found your blog through Green Tea and Cupcakes. You look lovely! 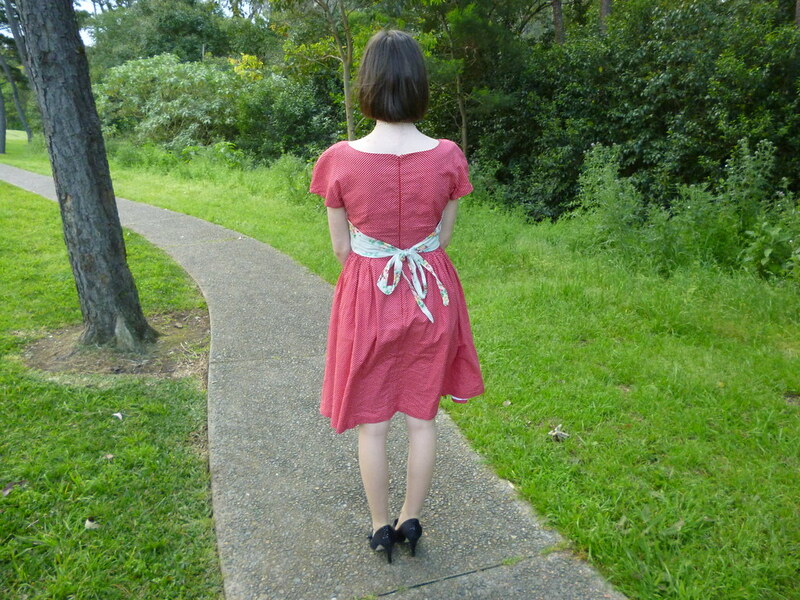 That modcloth dress looks amazing on you! This dress is amazing! 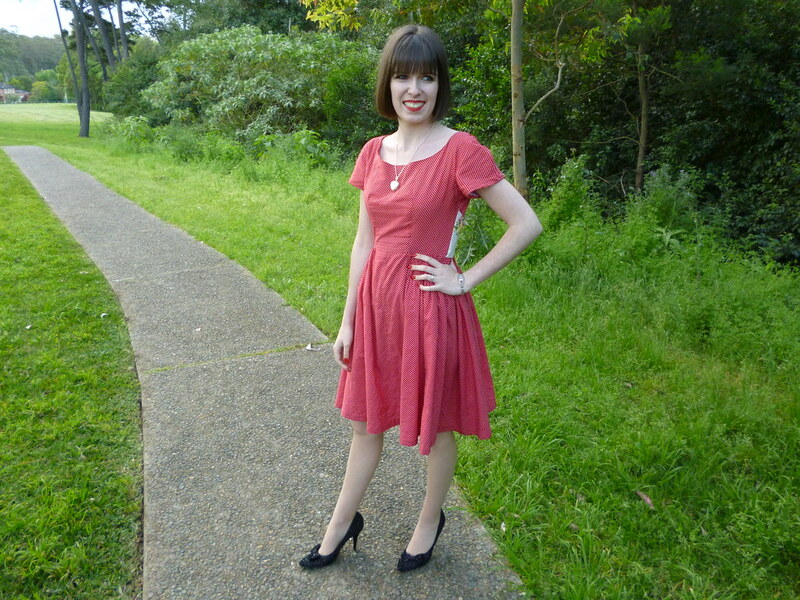 I love Modcloth's stuff, but it's just so expensive to get it shipped over – cry. Ooooh, you look soo stunning as usual. I have a big grin from ear to ear when you turned your back (visually on the photograph, of course) for us to see the surprise bow in the back! Hella cute! Cute dress, I really like it! That dress fits you so well. Your dress is so pretty! nice pictures. That dress is beautiful and so perfect on you! I love your shorter hair as well. You're lucky you are able to get away with short hair. That dress is so nice! I love the unexpected detail on the back. 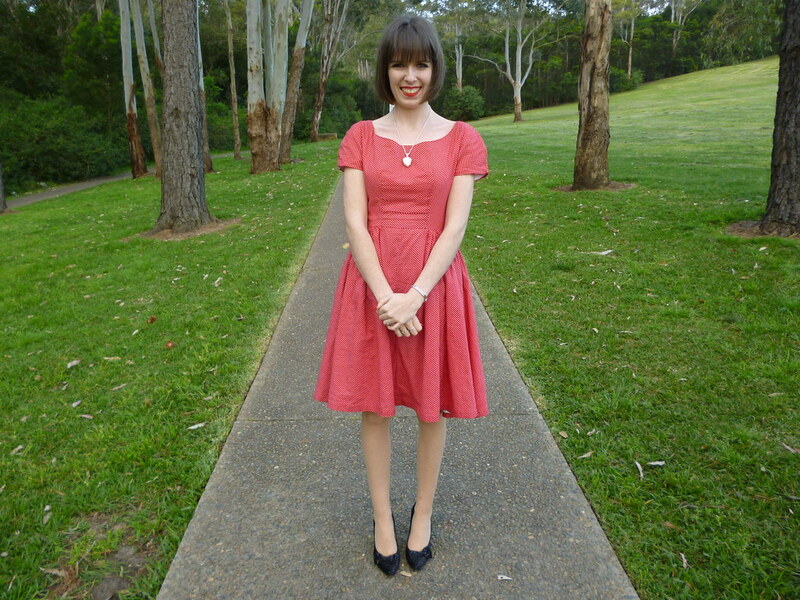 It looks like a classic dress, but with a nice and playful twist!